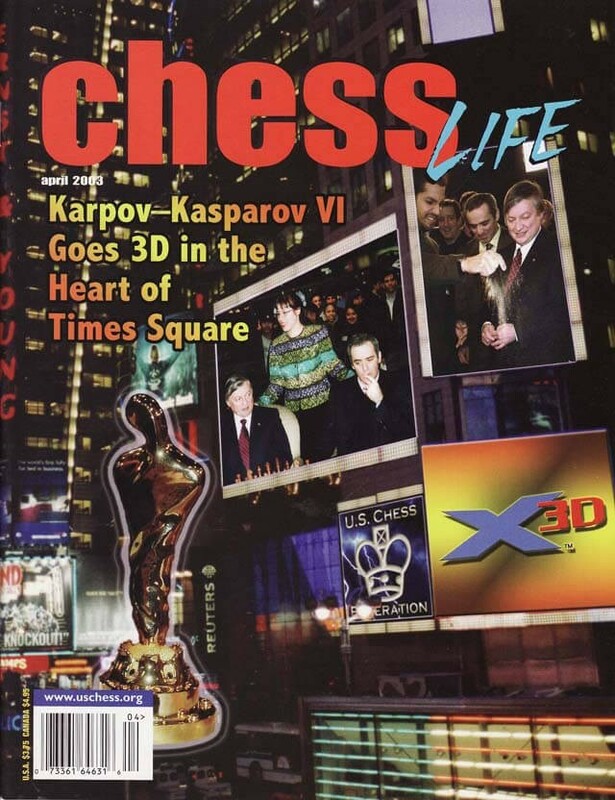 The April 2003 Issue of Chess Life Magazine takes a look at the big high-tech match between Kasparov and Karpov held at the heart of Times Square in New York City, won by Karpov. There is also an interview with Karpov. Also included is a look back at San Antonio 1972 by Bent Larsen.